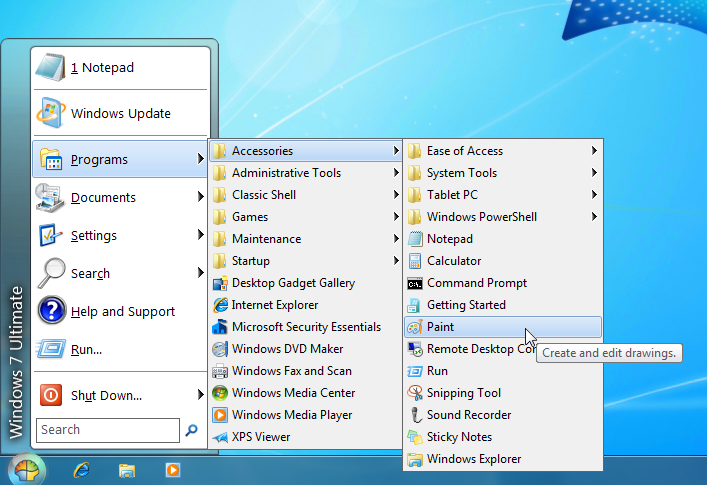 Much of the search queries to this blog are about this post, or how to access the old start menu on windows 8. 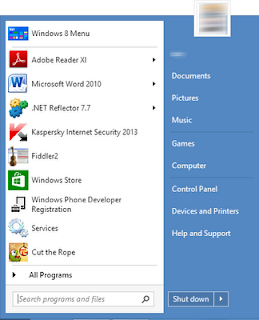 There are great applications that mimic the old start menu. One of the preferred features is that once a user logs in, she is taken directly to the standard desktop. 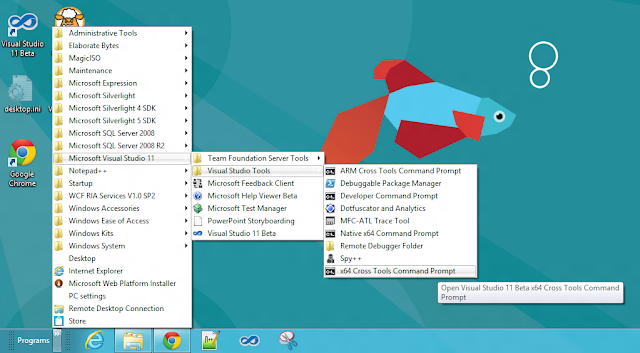 Personally I have been using Stardock's Start 8 (the same guys who developed the awesome Fences application) which I find excellent, it is not free however (costs over $5). Following are screenshots of Start 8 on my Windows 8 laptop. 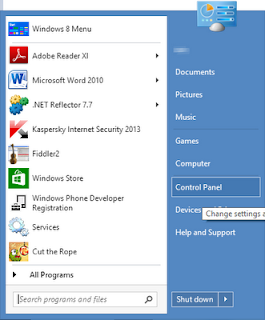 If you have already tried the Windows 8 consumer preview, you have surely noticed that there is no start button anymore, which means no easy way to access your programs using the start menu as we used to do since forever. This is impractical since it means: whether you have to put some shortcuts on the desktop, or go to the metro start screen each time hoping to find the application icon there. 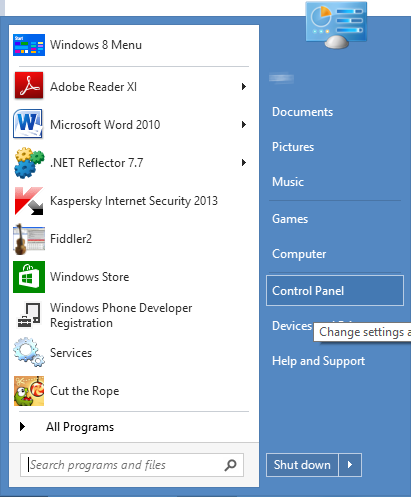 However, you can do a simple trick to access the whole start menu again. To do this, right click the Super Bar and choose Toolbars -> New toolbar. 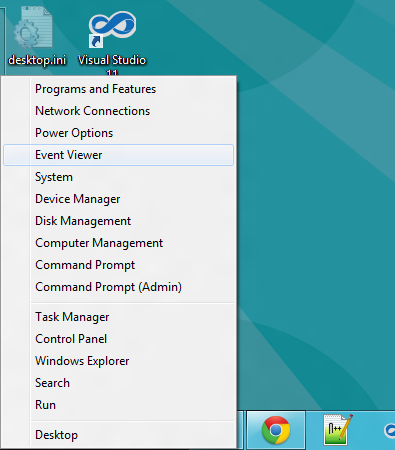 In the dialog, choose the folder C:\ProgramData\Microsoft\Windows\Start Menu\Programs and click "Select folder". Once added, you can click the arrows to access the programs and folders of the start menu, you can also drag it to the left so that it takes the start button's original place.